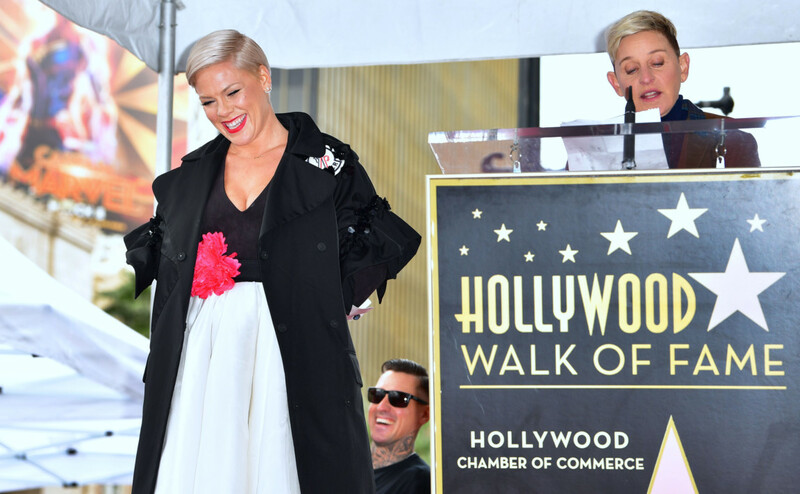 Pop singer Pink was honoured on Tuesday with a star on the Hollywood Walk of Fame, telling fans gathered for the event that it was “surreal” to receive the award. Pink has received 20 Grammy nominations and three wins over her career. On Sunday, she will be vying for another Grammy for best pop vocal album for ‘Beautiful Trauma’. Ellen DeGeneres, who spoke at Tuesday’s ceremony and who uses a Pink song for her daytime talk show, described the singer as “a badass rock star” and a person who has remained true to herself. She released her first solo album ‘Can’t Take Me Home’ in 2000, with the record certified double-platinum in the United States. She received her first Grammy in 2002 for ‘Lady Marmalade’, which was the soundtrack for the film ‘Moulin Rouge’. Her two other Grammys were for best female rock vocal performance for ‘Trouble’ in 2004 and in 2011 she shared the award for best pop collaboration with vocals for the song ‘Imagine’.